The controlled object can be automatically switched over between two different factors, namely, flow rate and pressure. Enables follow-up of sudden process changes, and ensures smooth switching. 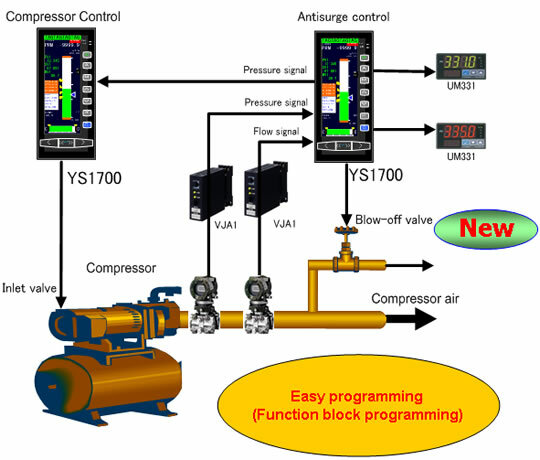 Control including a start-up sequence can be tailored for various compressors.